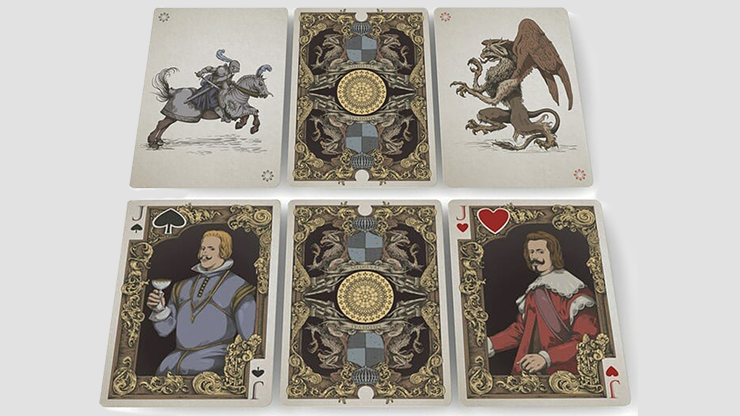 Inspired by fearless knights, severe lords and gorgeous queens, Medieval Playing Cards is a fully custom hand-drawn deck with one-way courts in the original old style of playing cards decks. 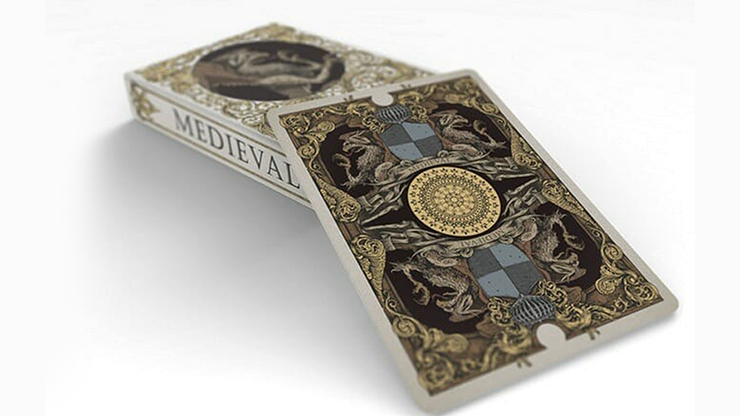 From the card stock to the construction of the tuck box, Medieval is designed to transport you back in time with a contemporary twist! 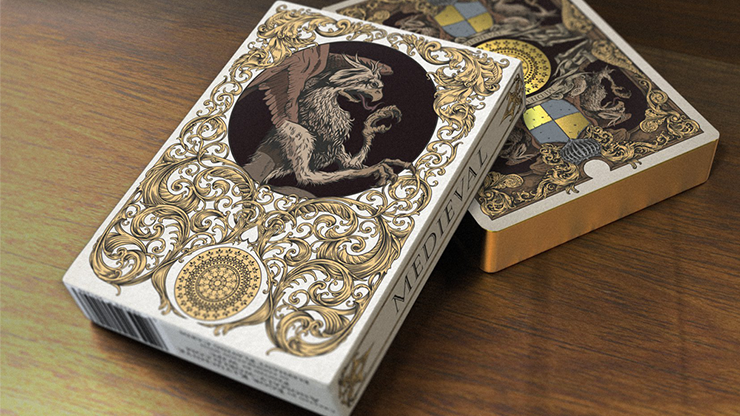 The Medieval decks were crafted 100% by hand to showcase the beauty of the Renaissance period. Inspired by the great artist, Diego Velásquez, we want you to feel this epoch and experience its elegance and grandeur. 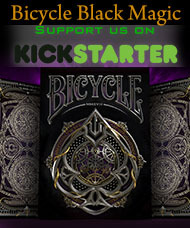 For this project we present TWO different decks -- Medieval Gold edition and Medieval Royalty edition. 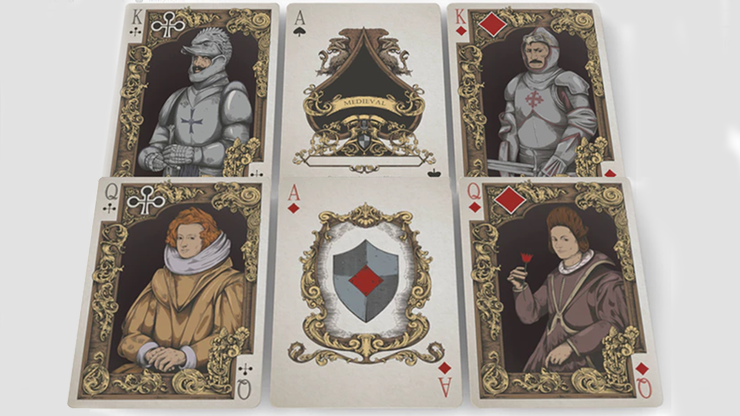 For the Royal Edition of the Medieval deck, we decided to go ALL OUT on a deck so fancy that the Queen of England wouldn't mind playing bridge with it. 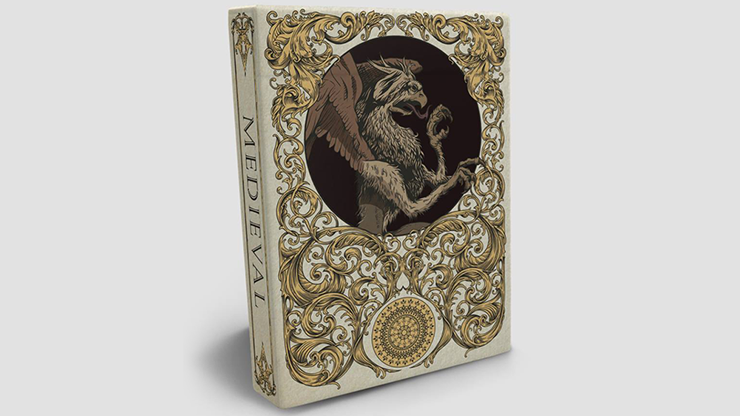 Thicker card stock for a characteristic medieval feel. Authentic out-of-the box tuck flap packaging. 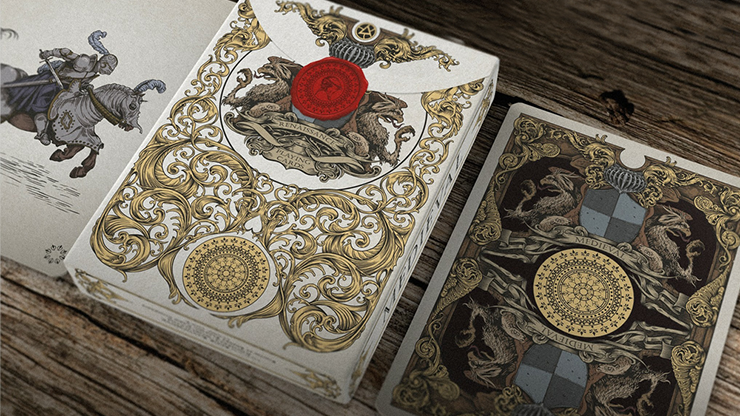 Beautiful and Intricate 2-way back design for both decks. Unique coat of arms for each suit - subtle background design.